Behind “Esprit de Corps IV”, the VOR 60 of ten confirmed crew members who logically lead the fleet of the 9th ROUTE Halifax Saint-Pierre since leaving yesterday at noon, three CLASS40 are fighting a merciless battle. 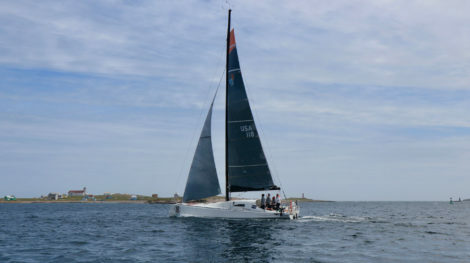 Philippe Paturel and his acolytes on “Oakcliff Racing Saint-Pierre et Miquelon”, then first at sundown last night, lost ground following a mistake of the code O (forward sail). “Yesterday, we were well gone, but we had some problems with sending the code zero, we lost a lot of time,” said Philippe by phone this morning. 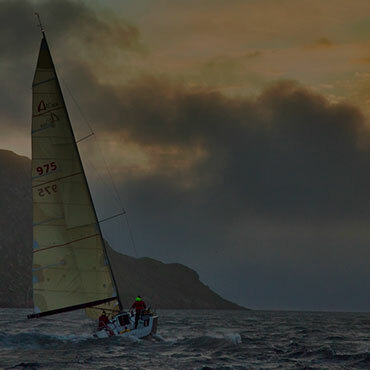 The big moon and the relatively calm sea allowed the crews to quickly take the rythm of the race without suffering too much from cold or moisture. “It was an absolutely beautiful night. 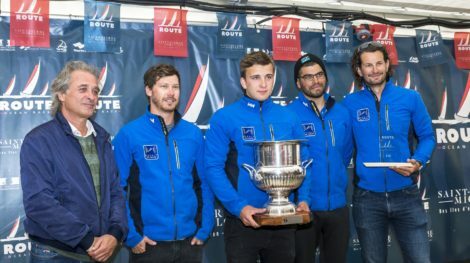 We started to see the moon little by little, and then the wind rose, and we are happy because we managed to get a little distance on others “explained this morning by iridium Gaëlle Halliday, crew on J133 “Bella J”, first this morning of the ORC Racing category. This afternoon, the southwest wind came back stronger than expected by the weather forecast. 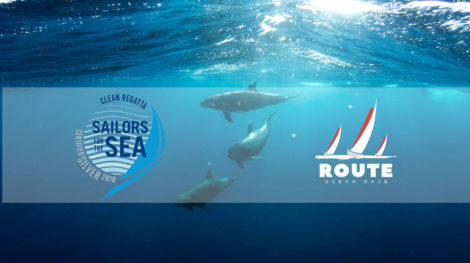 It is therefore with full downwind that crews must negotiate the best angle and speed to reach the archipelago 100 nautical miles from their bows. 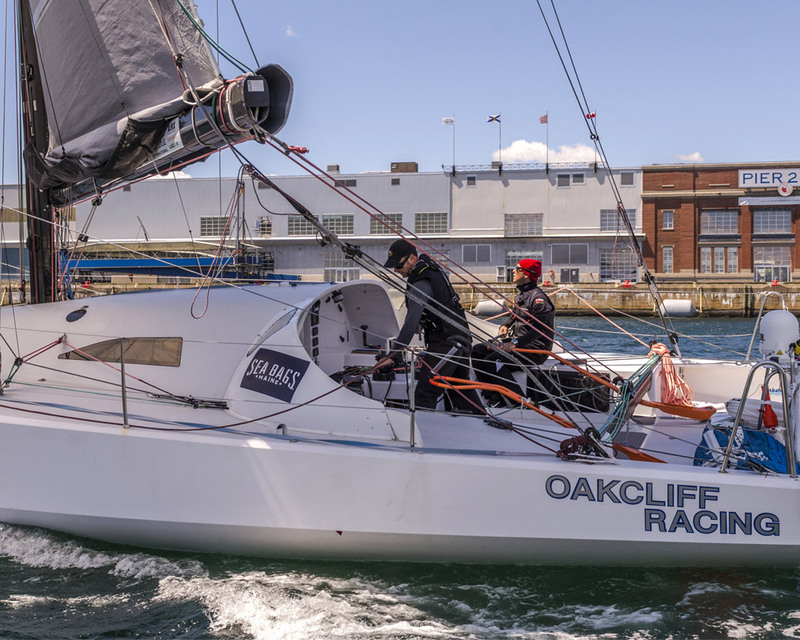 The match continues in CLASS40 between the canadian boat “Bleu 35” and “Oakcliff Racing Saint-Pierre et Miquelon” (less than 2 miles distance!). 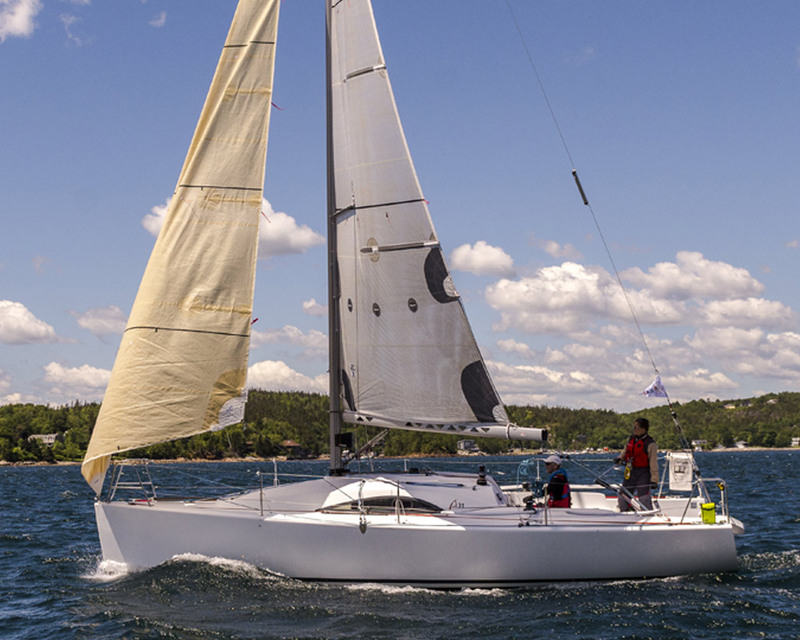 They are followed closely by “Esprit Scout” disadvanted by a small spinnaker damage: “In the jibe, we tore the little spinnaker, we are under big spinnaker. 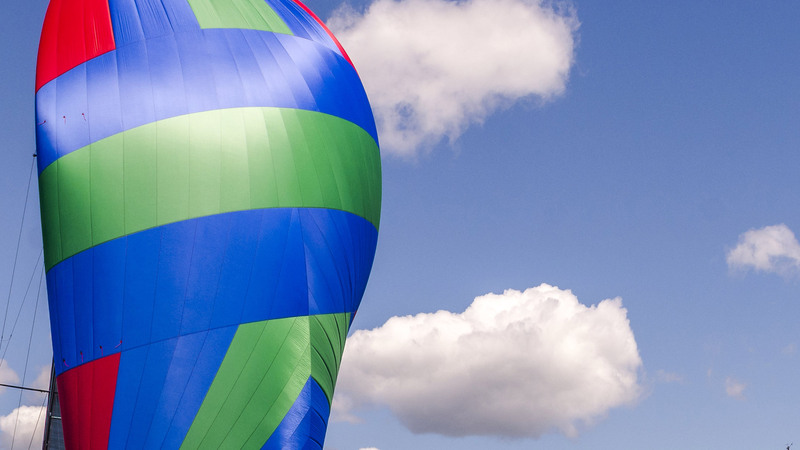 It’s annoying, because if the wind rises, we will be forced to fall down” said Marc Dubos this morning. On the A31 side, two double handed teams compete fiercely despite their different road: “Antilhez” and “Ville de Saint-Pierre” are only 4 miles away to each other. The options diverge to join Saint-Pierre and the gybes will be the key until the approach of Savoyard Cape. 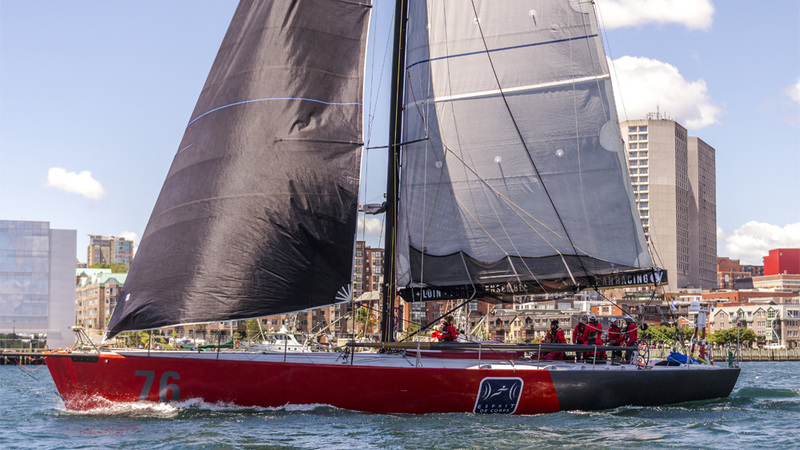 Leading, the VOR60 and the CLASS40 sail between 12 and 15 knots on a growing sea. They are expected from 21h00 on Wednesday evening! “They started with a light wind yesterday, and then at night, it got stronger. The night might have been fantastic with the full moon downwind sailing, they have been able to sail under spinnaker they could hoist the spinnaker progressively. 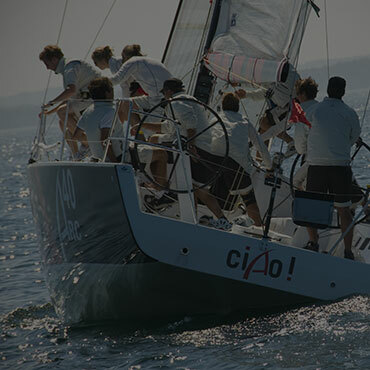 We can expect them, at least for the first one, “Esprit de Corps IV”, the VOR 60, about 9.00-10.00 pm tonight at the pontoon here in Saint-Pierre. There will be a small gap with the CLASS40, which will arrive 3 or 4 hours later. Then the ORC early Thursday morning. Arrivals will last all night until all day tomorrow. The wind is full back at the moment, so the crews are downwind, there is a nice fight in CLASS40 between “Bleu35”, “Oakcliff Racing Saint-Pierre et Miquelon” and “Esprit Scout”. The Café de la ROUTE is open! Breakfasts, lunch, diner and live music every day. 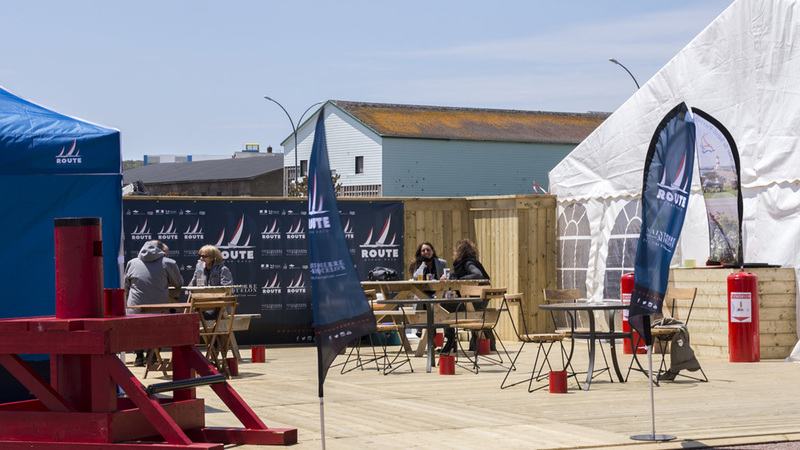 Come and join us to celebrate ROUTE Halifax Saint-Pierre 2018! Read the menus of Café de la ROUTE.